Congratulations on the approval of your study abroad program! Promoting your program is not just about advertising, it is about creating and delivering valuable information to our student target population so that they can make an informed decision. It is never too early or too late to recruit students for your program. Early and consistent recruitment efforts, rather than a last minute push, will pay off. So let’s work together and recruit students to participate in this life-changing experience! 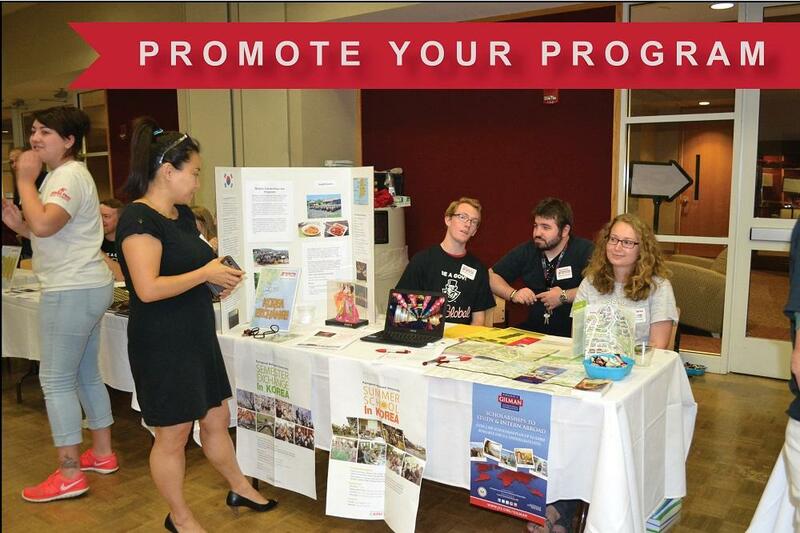 How does the Office of Study Abroad and International Exchange promote study abroad programs? The Office of Study Abroad and International Exchange promotes all study abroad programs equally during each semester by holding key events and developing promotional materials. 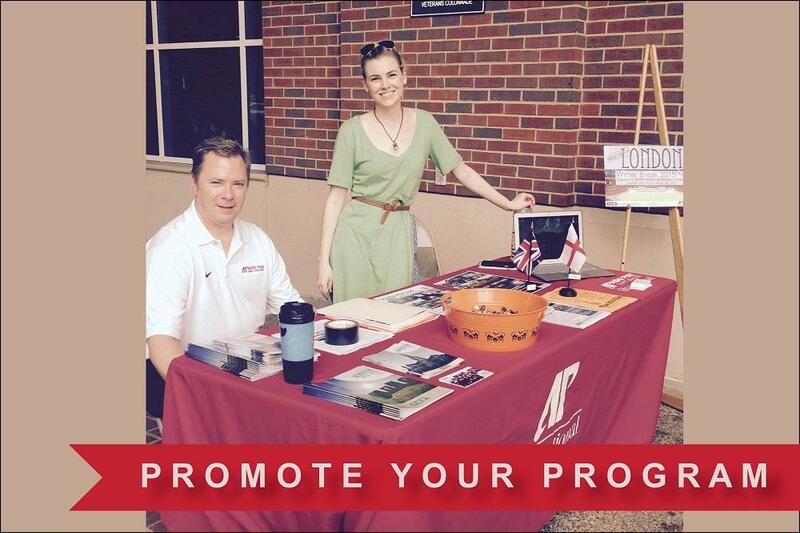 We promote programs through Study Abroad Fairs, Study Abroad 101 sessions, and advising sessions. 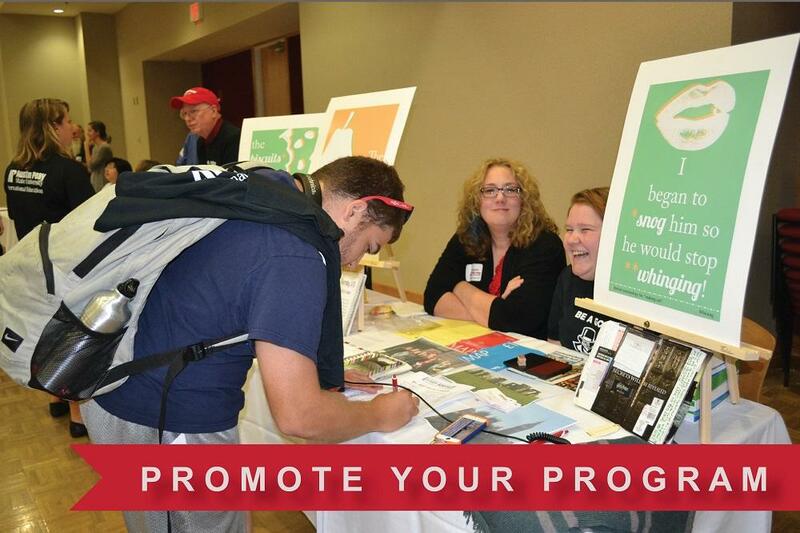 We also present at APSU 1000 courses, student organizations, and for various departments on campus. Early exposure is another key to successful recruitment; therefore, during the summer we participate in all summer ROW sessions and do presentations for high schools students in collaboration with Tri Co Upward Bound. Additionally, the Learning Opportunity Center also promotes study abroad programs during summer by presenting to freshman students at all ROW sessions. 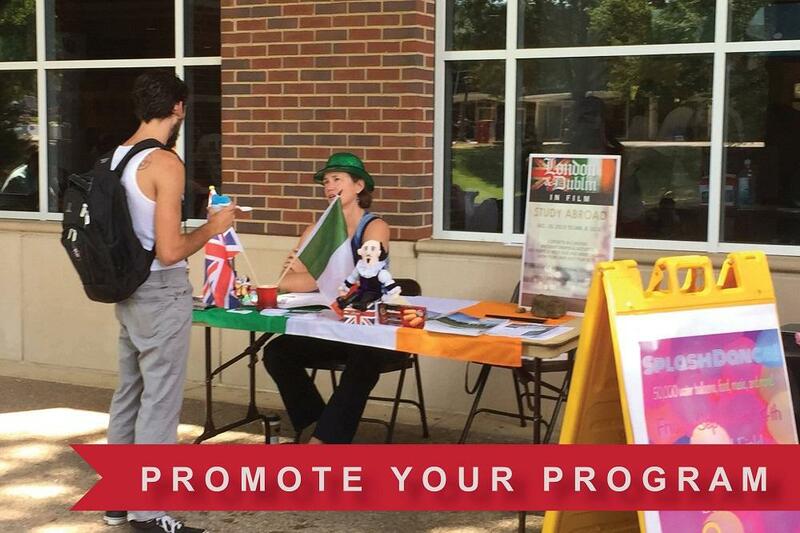 How can you promote your study abroad program? Faculty are the main ambassadors of each study abroad program and are very likely the first person students are going to talk with once they become interested in a study abroad program. Below, you will find some tools that will help you recruit students. Remember! Recruitment takes places all year around; therefore, it is never too early or too late to recruit students for your program. Once a program has been approved, you will receive a template for a flyer. Our office will create the flyer for your program with the information you provide. The flyer contains the program description, general cost information, deadlines, and contact information. This is an example of the flyer. Additionally, an online brochure will also be created with the same program description plus more detailed information about program costs. The online brochure is where students will start the application process. Faculty are welcome to create promotional materials. However, communication needs to be consistent with the information provided by our office on the flyer and online brochure. Communication also needs to be transparent at all times. For example, if you say something like, “You can do a summer semester abroad for only $$$$$,” you will also need to state whether that amount includes or doesn’t include tuition and/or the application fee. Reaching out to all students on campus might not be the most successful marketing approach. Reaching out to only the students in your classroom might not be that successful either. Instead, identify your niche market. Can your program be open to all majors? Can students use that credit as a general ed course? Or as an elective? Even if a program is not scheduled to be offered every academic year, study abroad faculty coordinators should always participate in the Study Abroad Fair. You can always recruit students for the following year. We recommend that faculty participating in the Study abroad Fair use attractive displays, which can be created with pictures or even have a computer or iPad with a slide show. This is an excellent opportunity to involve study abroad alumni, as they can help you create an attractive display and connect with potential study abroad students! Research has indicated that once college students are aware of the benefits linked to study abroad, they are more likely to participate. You can find some information in our Benefits of Study Abroad section. College students spend a considerable amount on time on social media platforms every day. This gives us an excellent opportunity to reach this population. Below are some of the things you could do with social media. Create a Facebook group that includes study abroad alumni. Peer-to-peer recommendations is one of the best ways to recruit students! Create a blog. This is something that you might want to have as an assignment during your first study abroad program, and use it to recruit students in years to follow. You can also create a Pinterest account, YouTube channel to upload videos from your program or use other social media platforms. However, it is better to have one social media platform that is well maintained and constantly updated, than many accounts with out-of-date information. Consider location, dates, and times. Think about students’ class schedules, not just your teaching schedule. For example, hold a session that falls on the MWF schedule as well as a session that falls under the TR schedule. Also, consider evening and/or weekend sessions. Provide a good balance of information covering academics as well as fun activities that will take place in the program. Try to have at least a tentative itinerary with potential locations listed. This will encourage students to start researching some of the places on the itinerary, which will increase the excitement about this opportunity. Have the flyers provided by our office and other visual aids available during these sessions. And don’t forget to let students know that they need to sign up for a mandatory in-person advising session with our office. Some faculty have successfully used this recruitment option. If you would like to reserve a table in the UC, talk with the administrative assistant in your department to make the reservation. You can also contact University Facilities at 931-221-6617 to make your reservation. If you are not able to be at the table, you can consider to ask some of your past study abroad students to assist you.